There are few names more synonymous with country music than Reba McEntire. While she may have never been your traditional country-western troublemaker, there are enough wild Reba McEntire stories out there to prove that the Grammy-winning chanteuse has led a far-from-dull life. Between her recording and acting careers and her rags-to-riches biography, one thing is certain: Reba is a force of nature. Born in McAlester, Oklahoma, on March 28, 1955, McEntire and her siblings grew up riding horses, competing in rodeos, and tending cattle. She taught herself to play guitar when she was just a girl and, inspired by her mother who was an aspiring country music singer herself, Reba and her siblings started their own musical group. She broke away from the group as a young woman and was signed to Mercury Records before graduating college. Number-one hits, industry awards, movies, and television shows, and even tragedies followed, and as a result, Reba has more than earned her place in popular musical culture. Reba McEntire is a one-of-a-kind country music gem, but there's a lot more to her than meets the eye including a diverse legacy of experiences and background stories. So sit back, hold tight, and lean into this wild bronco ride. Without a doubt, one of the biggest tragedies McEntire ever faced was the 1991 plane crash that killed her eight-member band as well as the pilot and copilot. McEntire had performed iwth her band in San Diego and were scheduled to fly into Indiana that night, but Reba was suffering bronchitis and decided to spend an extra night in California while the group went on ahead. The aircraft crashed, killing every member of the band. Later, the first album McEntire released after the crash — For My Broken Heart — was dedicated to her band. In 2016, she wrote a Facebook post in memorium of the disaster. "Today is the 25th anniversary of the airplane crash," McEntire said. "I went back to San Diego Nov of last year and took a helicopter up to the crash site. I feel in my heart that they know we still miss them so much. My love and prayers to all the families and friends." 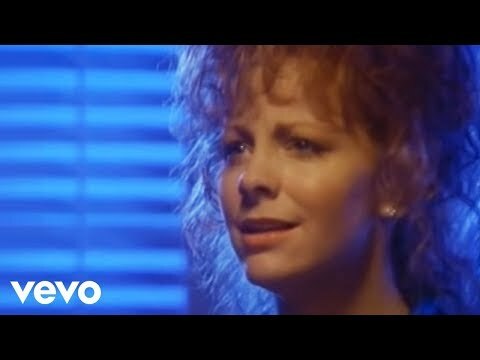 Reba McEntire has always been unabashed about her Christian background, but she did admit that she believes in reincarnation and might have lived a separate, previous life as a man. "I believe I've gone both ways — that I have been here before as a man," she said in an interview, adding that she might even be Buddhist. "I will get flak from Christians who will say I can't be a Christian if I believe this. That's true, and I'm sorry, but this is how I live my life, this is what I believe." McEntire and former husband Narvel Blackstock have a son, Shelby, and Reba is stepmother to Narvel's three children from a previous relationship. Her stepson, Brandon, is married to none other than Kelly Clarkson. When the two announced their engagement, McEntire was over the moon. "Thrilled to death," she told Katie Couric. "To have my buddy as my daughter-in-law, I mean, who could ask for more?" McEntire had previously recorded a duet with Clarkson and has talked about singing karaoke with her daughter-in-law. "[W. and I] e-mail each other on our Treos all the time — nothing political, just passing jokes back and forth. He's really into e-mail and so are his buddies. Senior Bush invited my husband [Narvel Blackstock] and I on a private cruise to the Greek islands about four years ago. We became very good friends, and that's when the e-mail stuff started.